British company Chapeau! 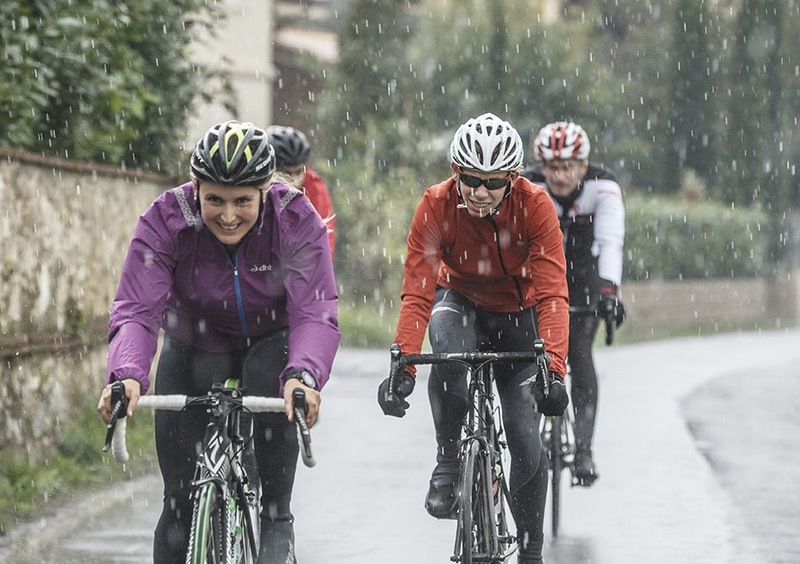 look to provide a quality mid-weight winter jacket that will keep you comfortable and warm whether you are on a long winter ride or chilly commute to work. It is certainly stylish, but does it perform as well as it looks? Chapeau! are a British company and design their products with the less than fantastic UK climate at the forefront of their minds. Whilst many companies tend to target their high end clothing at the slim fit, performance orientated racing snake, Chapeau! realise that the average cyclist is not 3% body fat or racing at World Tour level and consequently the fit of the Mistral is “regular”. The Mistral (Centre) seeing action in Tuscany. We like the styling, it is refreshing to see cycling kit that is fashion concious and not just utilitarian, and luminescent. 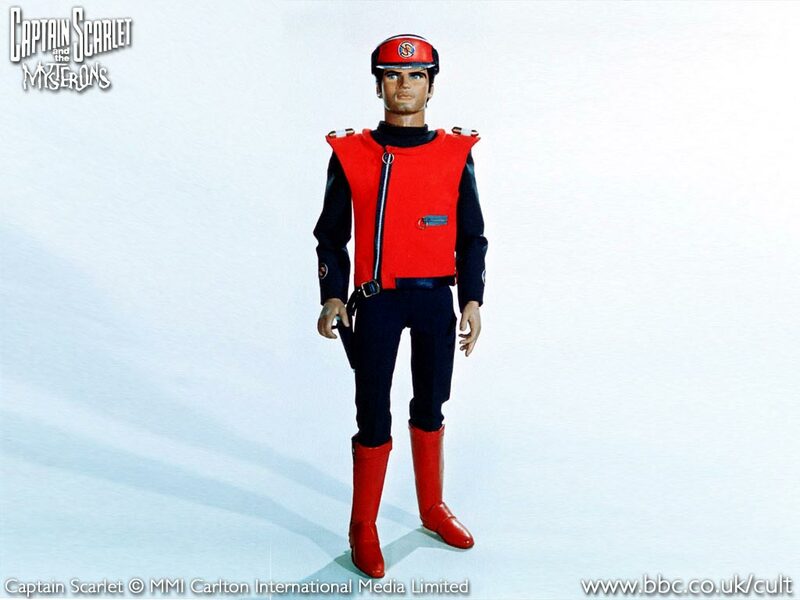 Having watched Captain Scarlett as a child we are fans of the Mistrals look and can’t help but draw comparisons. But, does it justify the £184.99 price tag? The jacket features a generous bum flap, which is a great feature for keeping your gluteous maximus dry and warm when the road surface is wet. On the rear, there are three large pockets and a fourth zipped pocket for valuables – a nice feature. 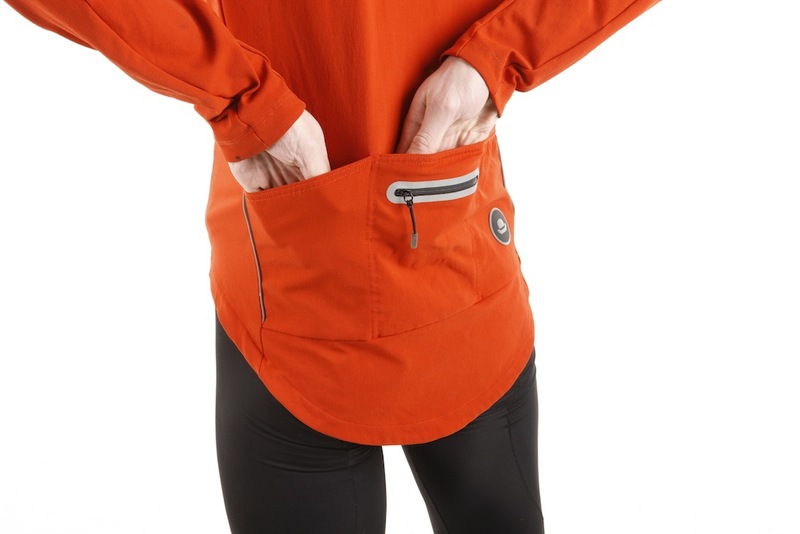 The zipped pocket also features reflective edging, to add a subtle high-vis touch. The majority of the garment is constructed from the high quality, Swiss-made, Schoeller Ecorepel fabric. It is very tactile and feels like nothing we have encountered before. The material is rated as water resistant and breathable. The pockets are deep and the bum flap is substantial. With regard to weight, the jacket is not the lightest and is also not actually wind proof. This was noticeable and the jacket can get cold, requiring layers to be worn underneath. Chapeau claim that this is deliberate in order to maximise breathability (claiming 65% windproof), but we remain skeptical. The Winderstopper fabric by Gore is found in many products and sets a bench mark that this textile doesn’t match up to – it is breathable and a full windstopper. We found that this jacket needed to be used in conjunction with other layers underneath to keep the wind at bay. The fabric does seem to wash well, but we are slightly concerned that the bum flap could become mottled with road spray over time. Removing mud stains from one of our test rides took a couple of washes. We like the ‘rust’ colour of our sample, but would consider the other ‘grey’ colour option as it may be more practical at hiding dirt. For more info visit the Chapeau! website. It isn't a soft shell, it isn't a hard shell. What is it? The Chapeau! Mistral jacket unique. It is neither waterproof nor windproof, but it is breathable. This jacket will be best suited for cold weather riding when used in conjunction with other layers. The styling is great and will sell the jacket to some riders, but the garment is ultimately let down by the material properties.